You will be met at the airport by your personal driver and driven to your hotel in Chennai where you will have time to explore this vibrant city. 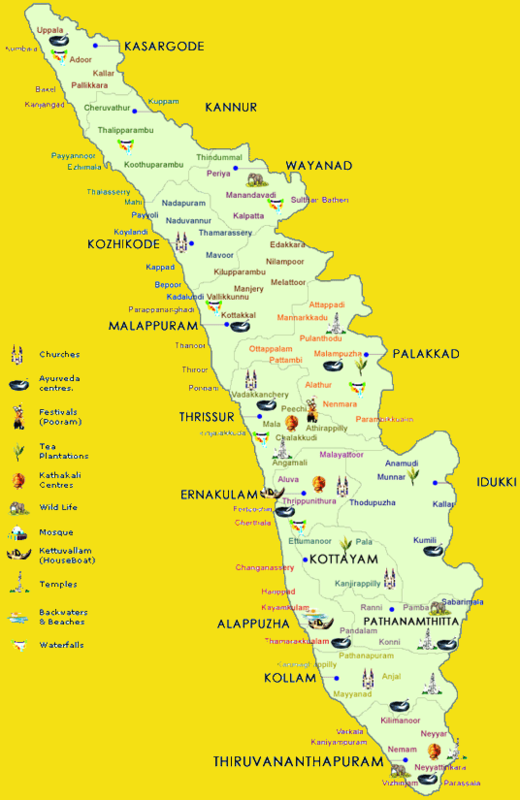 The following morning you will begin your tour of southern India with time to take in the wonders of the areas along your route through Tamil Nadu and Kerala ending with a relaxing night on a Keralan houseboat. Day 1- 2: You will be met at the airport by your personal driver and taken to your Chennai hotel for two nights. 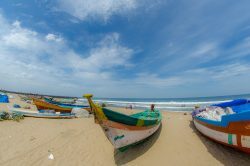 The following day you will be collected by your driver to tour Chennai on the Bay of Bengal; Chennai is the capital of the state of Tamil Nadu and you will have the opportunity to visit religious sites including the Kapaleeshwarar Temple. Day 3-4: Your driver will collect you after breakfast for the drive to Mahabalipuram, a town on a strip of land between the Bay of Bengal and the Great Salt Lake in the south Indian state of Tamil Nadu. Visit the spectacular temples and monuments built by the Pallava dynasty in the 7th and 8th centuries. Day 5-6: Today you will travel to Pondicherry a French colonial settlement. Its French legacy is preserved in the beautiful French Quarter with a seaside promenade that runs along the Bay of Bengal. You will tour the delightful and beautifully bougainvillea decorated houses and streets of the area. Pondicherry is unique in character to the surrounding area. Day 7-8: Today you will be driven to Thanjavur in the state of Tamil Nadu, it has an abundance of beautiful temples which include the famous 11th-century Brihadeeswarar Temple. 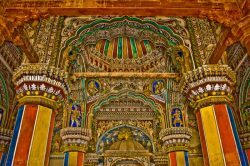 There’s also the Thanjavur Maratha Palace with the ancient Saraswathi Mahal Library and Thanjavur Art Gallery. Day 9: Today you travel onto Chettinad a small quaint village in Southern Tamil Nadu. It is known for its culinary delicacies and is one of the many reasons why people visit to taste the unique fresh spices of India and you will have time to sample the tastes and aromas of southern India. Day 10-11: Today you move onto Kerala, starting with the ancient city of Madurai located on the banks of the River Vaigai. 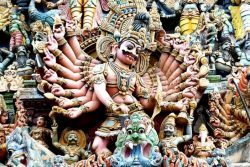 You can wander the narrow streets and visit the famously colourful temple of Meenakshi Amman. 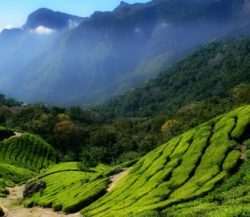 Day 12-13: As you travel south in Kerala you will head to the hills of the Western Ghats and Munnar, a fabulous location, with its lush green hillsides covered with tea plantations, you can visit a tea factory or a spice plantation taking in the cooler clean air of the hill region. 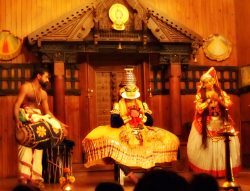 Day14: Today you travel to Alleppey (Alappuzha) home to the famous Kerala backwaters and the Spice Trail, there is a local museum and lighthouse that you can visit before joining your houseboat cruise. 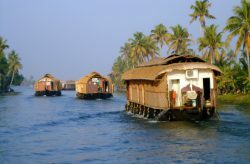 You will spend the day cruising the backwaters and spend the night peacefully on board your houseboat, you will be catered for by the on board staff on a full board basis during your cruise. Day 15: You will be collected from your houseboat and transferred to Cochin Airport in time for your flight home. Chettinad is a small town in Tamil Nadu and is well known for its unique and elaborately decorated houses and mansions. The highlight of your tour to Chettinad will be the culinary delights that the town is famous for with many restaurants and cafes where you can sample the delicately fragrant dishes of the area.